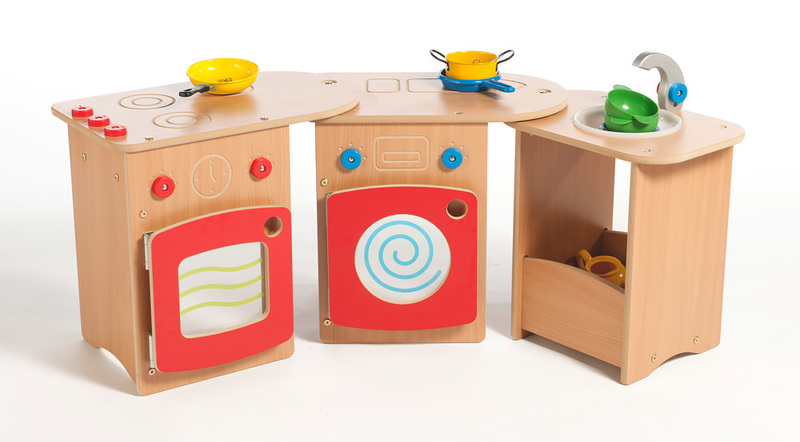 The Roll Unfold kitchen is available in two sizes and is the perfect solution for creating a group role play and home corner in limited space. The kitchen can easily be folded into each other and wheeled away after use for storage. 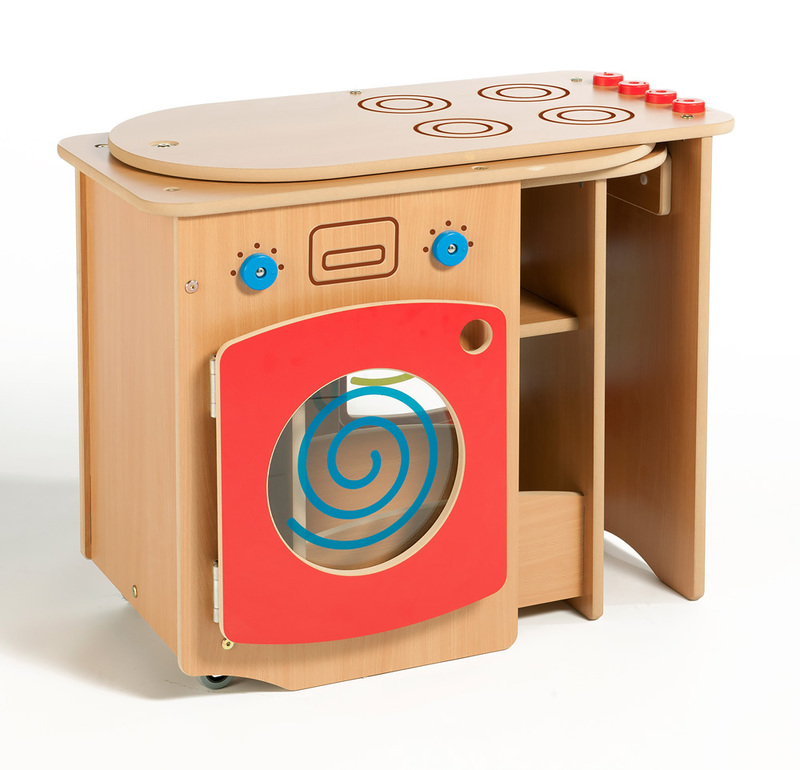 Both the large and small versions include a cooker with hob, washing machine and sink. The oven and washer doors are red with a Perspex panel with printed details. 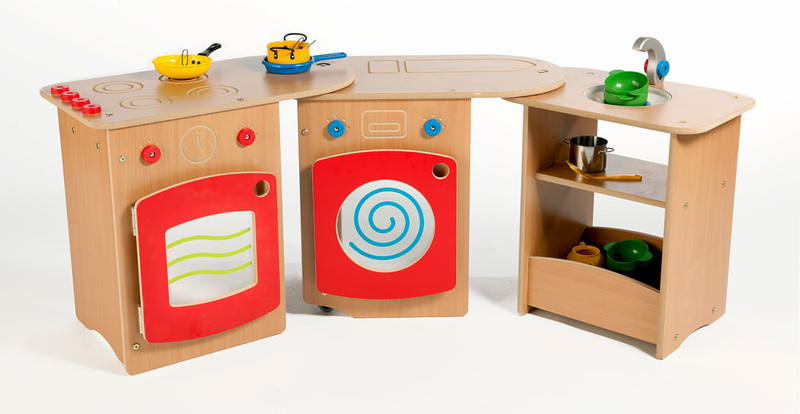 The innovative kitchen units are attached with hinges so they can be moved into many positions such as in a corner, along a wall or simply in the centre of a room. 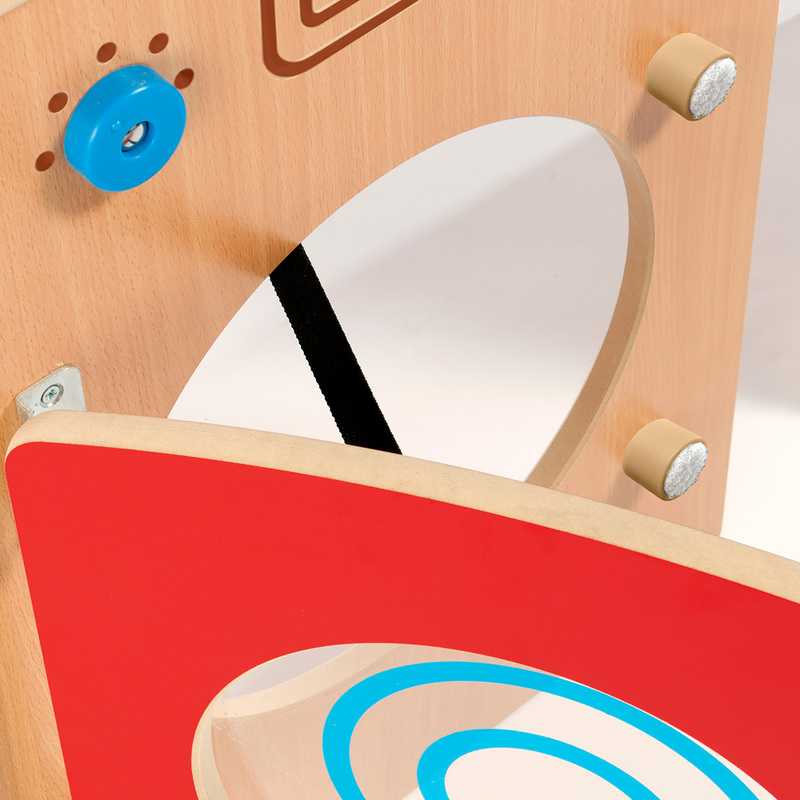 Featuring unique anti-finger trap hinges, door catches, plastic rotating dials and a large inbuilt storage trough perfect for toys. The Roll Unfold Kitchen is sustainably manufactured in the UK using durable and each clean beech melamine board with rounded edges for safety and sealed with a child friendly, water based lacquer. 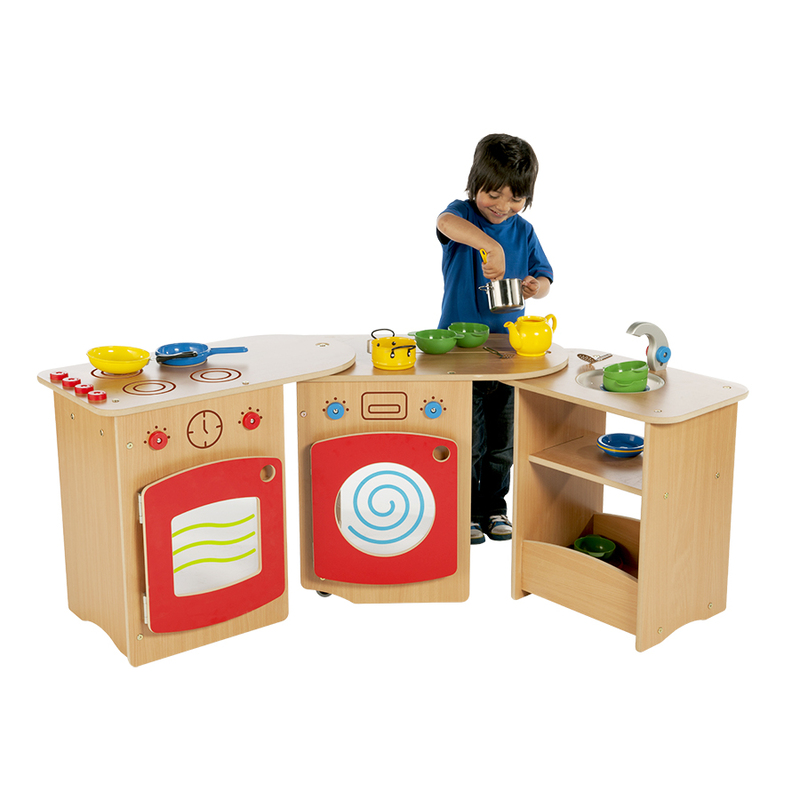 Please note: the toy utensils seen in the product images are not included with the Roll Unfold Kitchen. Please Contact Us or alternatively call for more details on 01733 511121.